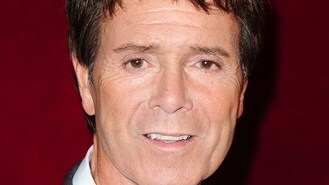 With more than a dozen number-one singles to his name, Cliff Richard is no stranger to chart success. But his entry at number seven this week is the first time he has shared a top-10 billing with rock-legend Elvis Presley in 36 years. The two icons have been reunited for the first time since 1977 when Richard charted at number five with 40 Golden Greats and Presley placed eighth with Moody Blue. Richard said: "I had so much fun recording this track of Elvis's. It brought back so many memories. I am thrilled that once again we are in the top 10 at the same time, but as usual I need to catch him up." Presley's revived success in the UK is thanks to the recent release of The Nation's Favourite Elvis Songs, while Richard's good fortune comes from a record inspired by the King himself. The Fabulous Rock 'N' Roll Songbook, which features nods to Elvis, Buddy Holly and more, is the 73-year-old's 100th album. It was recorded live at Blackbird Studio and The Parlor in Nashville, Tennessee, in the US, and is described as Richard's tribute to the greats of rock 'n' roll.